Are you curious about what your students got out of their reading? Do you want to hold your students more accountable for their reading? 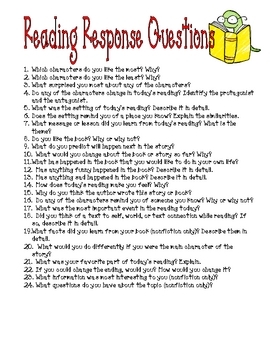 This download includes 24 possible reading response questions that will work with just about any book. 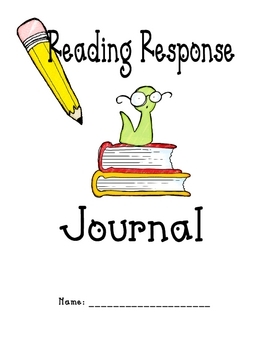 In addition to the questions, this purchase comes with a journal cover page, rubric, and writing paper that you can use to quickly make a reading response journal that can last all school year. 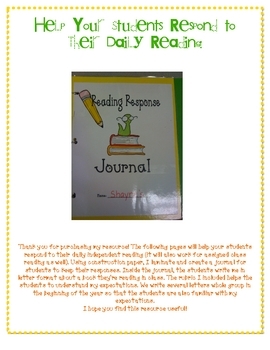 This journal will work great during reading groups, independent reading, or with assigned reading from class. Thank you for taking the time to view my download!